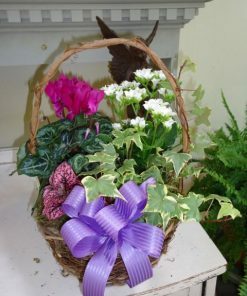 Whether celebrating the arrival of a bundle of joy, a new job, a new house or anything else that makes life brighter, this is the perfect basket of joy! 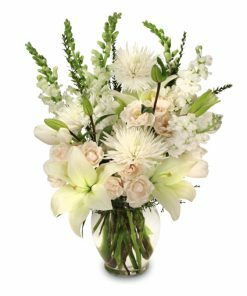 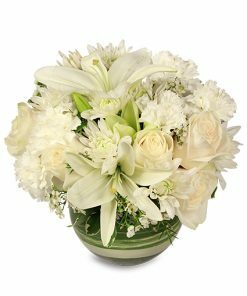 Ultra-big on beauty and ultra-low on maintenance, it’s a simply beautiful gift. 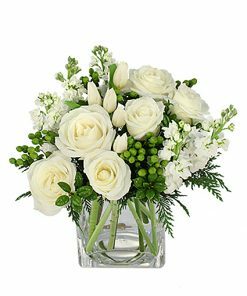 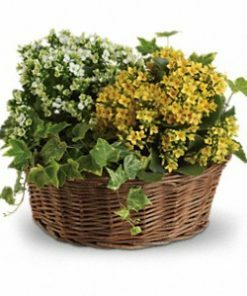 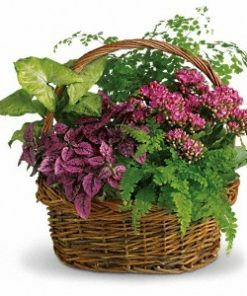 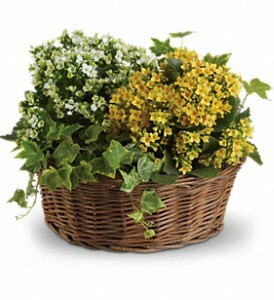 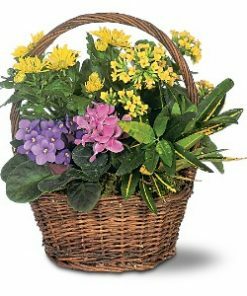 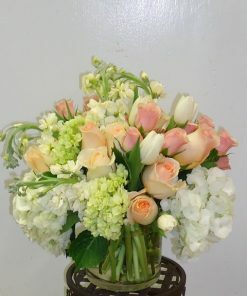 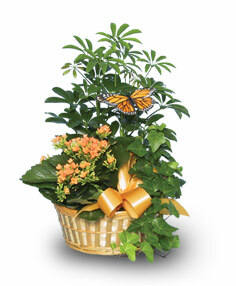 Two ivy plants along with white and yellow kalanchoe fill a charming round basket.